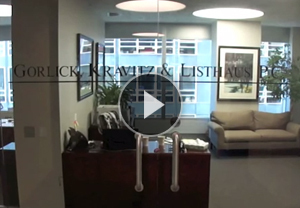 Our lawyers at Gorlick, Kravitz & Listhaus have provided answers to questions clients frequently ask about our firm and legal services. What distinguishes your firm from other firms? Our firm tailors services to meet client needs, offering high-quality legal services at cost-effective fees. We take pride in thinking out-of-the-box and using resources to our clients' advantage. We are prepared to unbundle legal services and charge only for service that resolves our client's legal issues. For example, we charge for negotiation, and if it does not effectively resolve our client's issue, then we discuss using arbitration, mediation, or litigation with our client before proceeding. Can I afford a Manhattan law firm? Yes, you can afford us because we work hard to make our services cost-effective. We avoid protracted litigation and only litigate when necessary. When we do litigate, we compete with the largest law firms at a fraction of the cost. Is it true that if I do not spend $600/hr, I can still get quality services? Yes, you can. We offer high-quality services at affordable rates. Our lawyers are highly skilled attorneys with impressive credentials in public interest fields and academic qualifications from distinguished schools. Our combined experience, which spans decades, means high caliber legal services. Is it possible to get an effective lawyer in a courtroom setting who is at the same time a human being? A lawyer can be a human being-treating clients and opposing counsel with courtesy, respect, and professionalism-and also be effective. In fact, as an attorney, you are more effective that way. Truly accomplished professionals use their intelligence and highly developed skills rather than a threatening demeanor or intimidation to win cases. Strength comes from hard work, successful strategies, and persistence in winning, not from a mean spirited attitude. Since you are litigation lawyers, will you insist on taking my case to trial? We generally use litigation as a last resort. The time to use litigation is when other legal remedies will not be effective in resolving your matter. Negotiation or alternative dispute resolution methods (such as mediation or arbitration) are sometimes more affordable and may resolve your case more quickly. We strive to save time and expense, and consult with clients first when considering litigation. Can you help with personal matters as well as business-related issues? Yes, we can. As part of our general practice, we routinely assist clients with personal legal problems, such as residential real estate, refinancing, wills, , all aspects of matrimonial law and more. See our Personal Counseling section for further details. If I do not have a complex case that requires extensive legal handling, will your firm take my case anyway? Our primary goal is to provide high-quality services. We are eclectic in the types of cases we take. Our attorneys not only handle cases involving complex issues, but also assist clients with matters that resolve through short-term negotiation. Do you help clients understand the laws and legal terms? Legal jargon is often hard to understand. In many cases, our attorneys find an instructional approach helps us work with our clients so they can grasp legal issues and can make informed decisions. While not getting overly technical, we offer explanations and devise legal remedies that help you resolve your matters and meet your objectives. We look forward to answering any other questions you may have and discussing your legal concerns. For a consultation, call 212-269-2500 or contact our New York and New Jersey lawyers online.